Larry L. Winegardner, age 80, of rural Belle Center, Ohio passed away Sunday, February 10, 2019, at his home. He was born in Logan County Ohio June 25, 1938, to the late Harry N. and Wilda L. (Gossard) Winegardner. He was also preceded in death by a sister, Janice Ford. Larry is survived by his four children; four grandchildren; three great-grandchildren and two sisters. Larry was a veteran of the United States Army and served during the Korean War. He was a life-long farmer and was named Hardin County Farmer of the Year in the 1960’s. Larry was also a former Roundhead township trustee and had been a member of the Roundhead Volunteer Fire Department. A graveside service will be held Friday, February 15, 2019, at 2 P.M. at the Roundhead Cemetery with Pastor Dave Schneer officiating. Military honors will be provided by the Kenton AmVets Post #1994 Honor Guard. 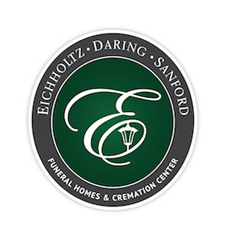 The family was assisted with the arrangements by the staff of the Eichholtz Daring & Sanford Funeral Home in Belle Center.